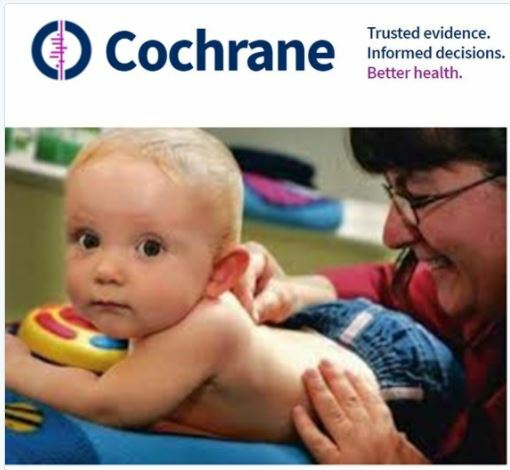 Cochrane Acupuncture Update: Over 60 Cochrane Systematic Reviews fail to find robust evidence to support clinically significant outcomes for acupuncture for any disease or disorder: In the time since acupuncture first began being seriously researched by medical researchers and many, many millions of dollars spent on this endeavour, the CT scan was invented and the MRI too, HIV was discovered and with research and treatment advances went from a 10-year death sentence to a treatable chronic disease with close to normal life expectancy, several childhood diseases have had their incidence significantly reduced due to research on new vaccines and many other medical treatments have been invented and their efficacy confirmed by research. Yet for acupuncture, thousands of (mostly low quality) research papers later, the conclusion of the most rigorous reviews of the research are so often a rephrasing of the words: Not enough evidence, more research needed. Imagine if we still didn’t know if CT scans could be used to diagnose disease or whether anti-retrovirals helped treat HIV – it would suggest that either these practices don’t work at all or that they work to such a subtle extent that they are nearly identical to placebo. NHS spends £25million on acupuncture each year despite experts saying there is ‘insufficient’ evidence it helps fight pain: “Health services should use their limited resources for interventions that have been proved effective,” he said. Even in China – the country that invented the practice, which usually involves putting needles in the skin – it was ‘considered irrational and superstitious’ as far back as 1700. Side note: Journalistic ‘balance’ fallacy. Even well intentioned articles often fall for this. Note how articles critical of alternative medicine always seem to end with a defensive comment from a proponent. It’s a technique used to soften critical messages and deflect possible backlash to the article. This much the same as movies that explain everything rationally but end with a spooky question just so that they do not alienate the believers in their audience. A stronger position would finish the message that is important in the article. Beware the snake-oil merchants of alternative medicine – your life could depend on it: The market for unproven alternative medicines is worth over €30bn worldwide. The sheer ubiquity of odious cranks throughout the ages is exemplified by the abundance of terminology for such individuals, all with diverse etymology. Four ways alcohol is bad for your health: “In total, cancers account for the largest proportion (more than one-third, or around 2,000 Australian deaths a year) of alcohol-attributable deaths. Breast cancer is the leading cause of death for women, followed by liver disease. For men, the leading cause is liver disease, followed by bowel cancer. Oxygenation Therapy: Unproven treatments for cancer and AIDS: Searching the net for “ozone therapy” will yield links to numerous organisations promoting the use of ozone and/or hydrogen peroxide for treating cancer. On the good side, ozone and peroxide don’t seem to be overly toxic to people. On the bad side, there is no proof it works. None. And to make matters worse, these “treatments” for cancer are promoted as alternative, meaning the person using this therapy is forgoing standard medical treatment. Not good. On the chemistry side of the matter, both peroxide and ozone are strong oxidising agents. Peroxide is effective in the killing of bacteria by white blood cells. All well and good, but I wouldn’t want a batch of oxidising agents capable of producing free radicals pumped into my blood stream. But I’m kind of funny that way. The invention of the “Heel Prick” Test for newborns. Neonatal screening test:This simple and routine blood test has made possible the diagnosis of many important medical conditions well before their symptoms appear, such as Cystic Fibrosis. In the case of Phenylketonuria, Congenital Hypothyroidism and Galactosaemia, this early identification means that treatments and interventions can be started that will allow the baby to live a healthy long life, whereas without identification the outcome was frequently death or severe brain damage. Methodolatry: An over-reliance on placebo-controlled trials: Randomized placebo-controlled trials (RCTs) are often referred to as the “gold standard” for clinical research…[but] among the general public, there is a common misconception that RCTs are the only reliable method and nothing else counts as valid science. For example, anti-vaccers often demand RCTs showing that vaccines are safe and effective (see note), and they routinely dismiss other methods, even when those methods are more suitable to answering the question at hand… This is, of course, nonsense and represents a fundamental misunderstanding of how science works. Researchers show a cancer defense mechanism could be turned back to attack tumours: Researchers can direct anti-cancer agents against disease-associated proteins, not just cells! This work has shown that we can use CAR-T cells to target soluble mediators rather than just cells (like tumour cells). This means we could use CAR-T cells as assassins to target and destroy mediators from all sorts of diseases – like organ rejection, autoimmunity and chronic inflammation – thereby broadening the applications for CAR-T cell technology.